In the face of outside scrutiny over the past five years, NPR has aimed for a more self-reflective lens with regards to its own whiteness. But before we explore the organization’s recent embrace of this critique, we must understand what is meant by NPR’s whiteness and why it matters. In discussing U.S. racial dynamics, whiteness is a broad, historically contingent and fluid concept. For the purposes of this article, let’s define the term more narrowly to help us understand how it operates in the history of public radio. Whiteness used here refers to how NPR’s rules, practices and norms were decided upon by a majority-white group of individuals, hailing from majority-white cultural spaces — from the halls of Congress, where public radio was established, to NPR’s first Board of Directors, to the private university settings of the 1960s where public media professionals were often trained. However, unlike media organizations centered around nonwhite populations, NPR is not explicitly defined and marked by its racial character. This unlabeled dominance has consequences. Namely, its content, and the way such content is performed, runs the risk of reflecting the norms of an elite, white-dominant foundation. This norming process, in turn, logically places all traditionally nonwhite voices into an alternative space of the organization rather than at the base, despite its mission to serve all American publics. This whiteness of NPR has been a subject of critique by scholars and radio professionals of color. When Rutgers University professor and radio producer Chenjerai Kumanyika published a manifesto on the whiteness of public radio, he noted his own experiences as a black man feeling the need to conform and alter his voice to one registered as more professional, and more white. As a response, NPR embraced the chance to engage with Kumanyika in its own segment on All Things Considered; NPR’s Code Switch dedicated the entire first episode of its podcast to talking about whiteness. And ATC anchor Audie Cornish, in an interview with Heben Nigatu and Tracy Clayton on the podcast Another Round, was candid about how she brings her own perspective as an African-American woman to news and pop culture. Facing whiteness critically has offered a way to puncture assumptions about what public radio news programs have traditionally looked like. This political moment, with white resentment looming large and endorsed by the 45th president, has intensified the urgency to understand norms embedded in the nation’s organizations that reinforce a dominance of white culture unmarked as such. But this call for an interrogation of whiteness had been foregrounded decades ago. A look into public media’s past reveals a prescient report from the 1970s about what NPR is grappling with in this contemporary moment. In 1977, CPB commissioned a task force to examine how public media was faring on addressing the needs of minority publics. The task force was led by Professor Gloria L. Anderson, vice chairman of CPB at the time; Anderson was also chairman of the department of chemistry at Morris Brown College, where she is still on the faculty. The 28-person multiethnic coalition convened at a turbulent time for media, when antiracist journalists and activists were actively railing against the stalled progress of representation following civil-rights legislation. The report was certainly a disappointment for NPR, an organization that has consistently voiced commitment to reflecting the racial diversity of the American public. The MTF’s statistics on NPR displayed a lack of racial diversity. By 1977, NPR was dedicating only 3 percent of its budget to creating programming focusing on the nonwhite U.S. population. Out of the 1,543 hours of radio programming that NPR produced that year, only 71.5 hours were designed for nonwhite or nonmale audiences. Furthermore, NPR’s board of directors was all-white. Programming Manager Bill Siemering’s vision for public radio, written in 1970, stressed the need for specialized audience programming, insisting that “[a]s man pulls himself out of the mass society to develop his unique humanness, his minority identification (ethnic, cultural, value) becomes increasingly important.” But seven years later, the emphasis on minority publics in this foundational vision had failed to manifest. While the statistics are striking, they are not outliers when compared to commercial media organizations of the era. In fact, NPR fared a bit better than its commercial counterparts. By 1975, the Equal Employment Opportunity Commission found that 15 percent of full-time workers at commercial broadcast organizations were nonwhite; NPR employed a slightly larger share, at 18 percent. But NPR merits close examination due to its unique position in the U.S. media ecosystem. 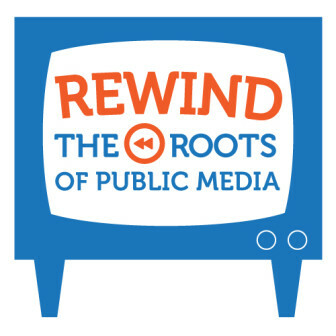 Its founding stemmed from legislation to provide accessible broadcasting free from commercial influence, and the network’s mission is to reflect the diverse plurality of voices of the American people. As a nonprofit organization with 501(c)(3) status, its aims are explicitly educational, in contrast to the profit-seeking nature of commercial media. This condition holds it to its mission statement, to create a more informed public, presumably applying to all U.S. publics and particularly to those minority publics underserved by commercial media. NPR did make efforts that appeared to reflect progress on this mission of diversity when compared to its commercial peers. However, the surface of progress belied the more systemic under-representation of racial minorities. For instance, by 1978 CPB reported that 13 percent of public radio employees were minorities — 233 of 1,855 — but they were unevenly distributed in lower-echelon employment categories. 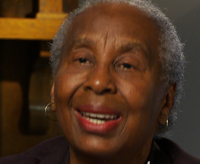 Several local stations, notably WBFO in Buffalo, N.Y., and WRFG Radio Free Georgia focused on responding to the culture of the local communities “who continue to be denied free and open access to the broadcast media.” These stations aired experimental programs created by and in dialogue with the black community, which innovated and challenged the dominant idea of what radio should sound like. However, these programs served as exceptions, rather than the norm. Overall, as the MTF demonstrates repeatedly throughout its report, NPR’s programming was inadequate in serving black and brown publics. The report attributed this to six main factors: governmental broadcast policies, station ownership, audience research, lack of minority employment, inadequate investment in minority program development, and inadequate training programs. In 1980, NPR published a thorough response to the report that included updates on its progress. The organization was unable to take direct action on broadcast policies, which required a larger governmental intervention. It did, however, make substantial progress on employment and training programs. Within the two years following the report, NPR hired more minority employees as primary decision-makers, corporate officers and managers; training programs provided a chance for minority employees to work their way up to these managerial positions. But NPR pushed back against the MTF’s finding that only 71.5 hours of programming were designed for nonwhite or nonmale audiences. It argued that news programming is not directed at any one public, so the finding was misleading. This pushback reveals a longstanding assumption that the generalized program served all publics and is wrapped up with the notion of objectivity in news journalism. NPR’s assumption in this 1980 report gives us insight into the organization’s white subjectivity at the time. We must break down this phrase before continuing. Put simply, we all have particular subjectivities that inform our view of the world; white subjectivity is the point of view of a person who experiences our racialized society as a white person. If we follow the basic logic of white subjectivity, since we live in a historically white-dominant society, it unknowingly recognizes itself as the norm of objectivity, professionalism and neutrality. Organizations can be imbued with this subjectivity, even if employees want diversity and inclusion in their workplace. The perspective that fueled NPR’s response was that the generalized programming was for all, despite its use of a majority of white journalists and experts to choose and report on local and national stories. Ultimately, NPR’s refusal to acknowledge its own white subjectivity in 1980, despite an urging by the MTF, was a decision that perpetuated its white perspective and alienated a growing market of listeners from underserved minority communities. “A Formula for Change” highlights the importance of outside actors to promote accountability. The MTF critiques pushed those at NPR in the late 1970s and early 1980s to increase minority employment and training programs. It also serves as a case study in why racial diversity in decision-making bodies matters. Frankly, if the founders and original NPR board were as racially diverse as this Task Force, the insights they had in 1977 may have been implemented from the start at NPR. By providing a bird’s-eye view of policy reasons for limited diversity, the MTF report also threw into relief the larger constraints of the U.S. funding structure for public media, ever-reliant on funding from the majority-white government supplemented by majority-white private philanthropists. In the face of critique by outside actors, continued self-interrogation and a responsiveness will bring NPR closer to providing programming for a multiplicity of publics, rather than an echoing of the limited demographics of its foundational voices. As noted by NPR Ombudsman Elizabeth Jensen, the potential for change is dramatic given recent expansions and openings in the newsroom in 2017. But the most recent numbers measuring staff diversity at NPR, while favorable in comparison to its commercial peers, show a stagnation in progress: NPR has had a 75–79 percent white workforce since 2011. There need not be a reinvention of the wheel when troubleshooting how to combat this stagnation. Given that so many of the MTF recommendations on hiring and programming practices still resonate, the original report may merit another review by public media practitioners. In addition, public radio producer and editor Stephanie Foo wrote a clear manifesto on “What To Do If Your Workplace Is Too White” that provides steps for managers on how to foster diversity in the workplace in hiring, training and story creation. One of her valuable insights: Don’t wait until next quarter. But even with these efforts, a shift in audience perceptions of predominantly white organizations will take some time. As Code Switch co-host Gene Demby noted in his reflection on diversity at NPR, Code Switch was at first met with suspicion and derision in the Twitter-sphere. The organization was not expected to produce a program outside the usual NPR voice, identified by many listeners of color as directed toward a white audience not dissimilar to the philanthropists and government agencies that influence the system through consistent funding. As evidenced by the sharp pieces coming out of NPR on whiteness in recent years, continued investment in this uphill battle will be worth the effort. Correction: A previous version of this essay incorrectly attributed language about audience service goals to the Public Broadcasting Act of 1967. The provision regarding service to minorities was added to the Act in 1988. 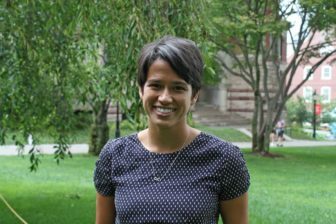 Laura Garbes is a PhD student in Sociology at Brown University. Her current project is on the construction of race in public media narratives. She produces a podcast (sporadically) in her spare time called Racing Thoughts, which explores real-world applications of race scholarship. Twitter: @lauragarbes. Email: laura_garbes@brown.edu.